Caring for an adult or child with a genetic disorder impacts every member of the family. It may feel like there is so much for you to learn, yet not many people who understand the impact of caregiving or how different your life may have become. One of the harder things for others to appreciate is that caregiving has both challenges and rewards. Caregiving is another word for love. 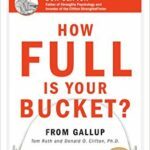 In a wonderful book by Tom Rath, “How Full Is Your Bucket? ,” a grandparent teaches two children that how we treat one another can fill or empty our buckets. Drop by drop, our bucket fills and empties each day. A full bucket feels good, plus it’s easier to be caring towards others. An empty bucket leaves us frustrated. We fill others’ buckets when we do something kind, and this also fills our own. It’s a simple way to talk about something very true – we need one another’s help. Relationships are strongest when there is mutual giving and receiving. But there is an art involved. If we don’t monitor our own needs, our bucket empties until we become dangerously tired, frustrated, and isolated. Caregiving turns into something daunting and difficult to sustain. Life also affects our buckets. We never know what is around the corner; there will be reasons to celebrate and difficult moments, too. The personal and permanent impact of genetic diseases can trigger feelings of anguish, fear, guilt, and helplessness. Genetic conditions also have implications for other family members, and worries can spread quickly. Life can change so quickly – it’s as if we are racecar drivers navigating suddenly dangerous turns and obstacles. Too many changes and, once more, our bucket levels become dangerously low. So, what’s a caregiver to do? How do we stay hopeful and cope with a genetic condition that may need continuous attention and has no cure? How do we keep our buckets filled, and most importantly, enjoy parts – if not the entire – ride? By growing resilience. Science shows how resilience helps caregivers thrive and maneuver obstacles. Resilience is the GPS or guidance system we use when we are on the racetrack. Resilient caregivers still have good and bad days. The difference is how quickly we can recover from a stressful time, day, week, or month. Resilience fills our buckets more quickly. And as every caregiver knows, time matters! While we are all born with a certain amount of resilience, resilience also grows from life’s experiences. No matter how we bad we may feel, we can learn to cope with stress, tackle problems, and use support from others. Mindsets are how resilient caregivers think about life; coping strategies are what they do. Some mindsets make it easier to judge the size of an obstacle; it is impossible to develop a road map without knowing this. Mindset #1: Resilient people quickly notice when stress increases and believe they can lessen its impact on their bodies. Our brain prepares the body to deal with any change by automatically triggering a stress response. For example, our energy levels, heart rate, blood pressure, and digestion all change. Worry, excitement, frustration and/or sadness are not weaknesses, but typical reactions to these physical changes. But our bodies are not designed to stay in “stress mode.” They need to de-stress regularly. Coping strategies are physical steps to recover from stress and fill your bucket. Coping strategies can reduce insomnia, increase social support, and manage worries – all essential to increasing resilience. Resilient caregivers usually work on one or two strategies at a time. Too many is overwhelming. I’ll highlight a few today. Please be gentle with yourself and give yourself time to learn, especially if stress levels are high. Coping Strategy #1: Slow, deep “belly” breaths trigger the relaxation response. Breathing is an automatic, natural relaxer. Yawn and feel how the tension changes. Resilient people make time to trigger relaxation responses throughout the day. We are healthiest when we can spend most of time in this state. Take a moment for deep breathing, which is the quickest way to relax. The diaphragm muscle moves our stomach gently up and down when we are breathing deeply. Holding our breath and breathing shallowly actually stimulates the stress response. Chronic stress triggers make it harder to sleep, and so we miss another very important restorative time. We also tend to hold our breaths when we are trying to not feel painful emotions, and we need comfort more than ever when we are hurting. Coping Strategy #2: Sometimes the best plans get turned upside down and we don’t notice how hard things are until it feels too late. Here is an exercise to try when you suddenly notice that your bucket is empty. It combines breathing with a resilient mindset. Continue until your bucket begins to fill and body relaxes. As you try these mindsets and strategies like experimenting with deep breathing, gently notice what makes caregiving easier and repeat it. End each day by remembering that each attempt was a drop – and that over time, these drops will fill your and your deeply loved one’s buckets. 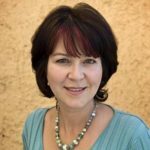 About the Author: Dr. Adrienne Witol is a psychologist practicing in Ontario and Edmonton, Canada. Originally trained in neuropsychology, she is especially passionate about helping people make lifestyle changes that build resilience and impact physical and mental health. She works with healthcare professionals, as well as individuals, groups, and families coping with chronic illnesses, infertility, loss, trauma, and developmental difficulties.